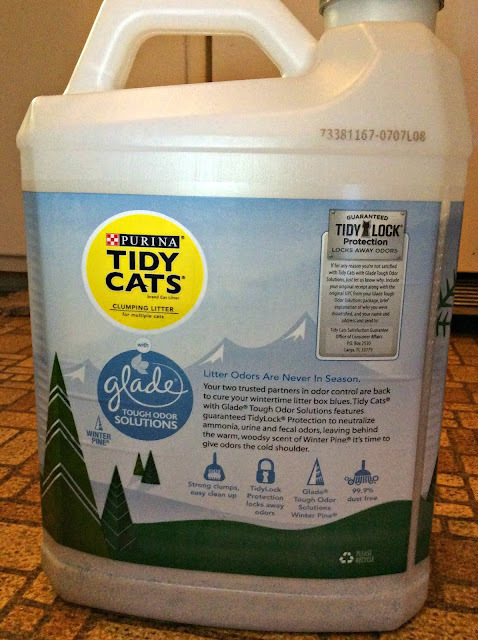 We have a solution that will bring the smell of a Christmas tree into your home for the holidays, and it's in a place you'd never expect...your cat's litter box, thanks to Tidy Cats Tough Odor Solutions Glade Winter Pine Clumping Cat Litter! With that caveat, Mommy and I are both very pleased with how this litter performs. It smells nice when you first pour it but the scent isn't overpowering, which is good because Mommy always worries about my asthma whenever we use scented litter. The clumps are nice and tight and easy to remove. We haven't even noticed a litter cloud in the air when we pour it from the jug! I give it 4 dust-free litter pan paws up! Tidy Cats Tough Odor Solutions Glade Winter Pine Clumping Cat Litter is currently on sale at Chewy for $18.49 for a case of two 20-lb jugs. Chewy offers FREE 1-2 day shipping for orders over $49, and with over 500 brands in stock they have something sure to make every cat or dog happy. Tell them Mudpie sent you! Dust free is a good thing! Tis the season to go potty! I sure wish we had our tree up. Great review cutie girl. Well considering our tree won't be going up this year, maybe we should get this litter instead! Look at you, Mudpie, even being festive in the litter box! We always try really hard to give Thanksgiving its fair turn, so on Friday our tree is finally going up. We don't go for a real tree either, because this human here is too lazy to keep one alive, and we want to be able to keep it up for weeks and weeks without it dying on us. Purrs! Wow, that is a great idea - holiday litter! MOL! Love the low dust, can't get enough of low dust! We love dust free litter because it doesn't make me sneeze. And since the scent isn't overpowering our mom would love it, too. That is a festive idea, too bad my hubby is allergic. We don't get a real tree either - you're right, too much work! Interesting scent for litter! Well, what will they think of next? I can't use scented litter but TW loves things that have that Christmas tree scent. Unfortunatley, she is allergic to certain kinds of pines. There is no reason a litter box should not always be festive! What a creative idea! 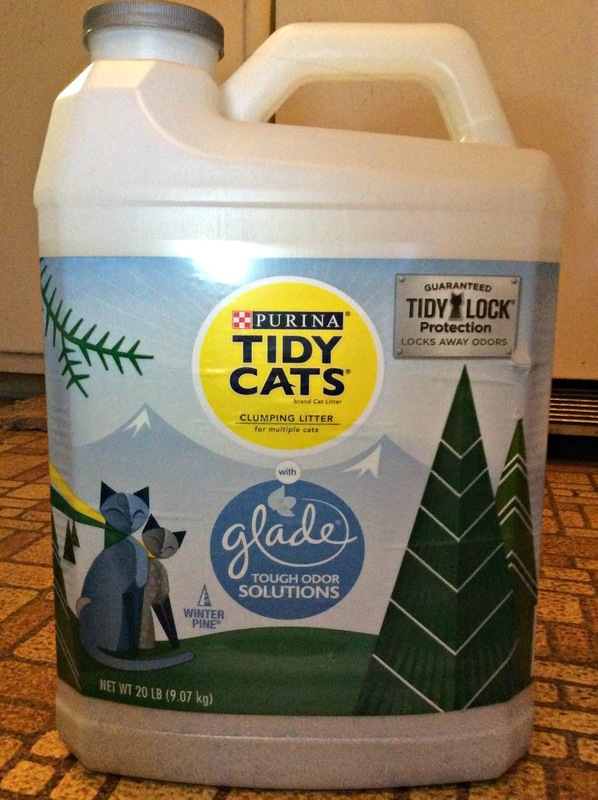 We know the Glade brand (so famous) so seeing it in TidyCat is a great move. I will look out for it here Mudpie!